I think I realized how long it’s been when Aussa prompted comments with a “How long have you been blogging?” question, in one of her posts. Then I was reading Rara’s blog and saw her mentions of being 29 years old. Looking back, I slowly realized that I started blogging when I was 29, too. I had tried to think of what was happy when I was 29. I thought of my daughter, when she was born, but that was a year earlier. She brought such joy, but 2003, the year I began blogging, was filled with sadness and sorrow. 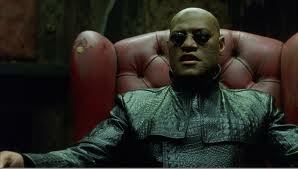 You are Morpheus, from “The Matrix.” You have strong faith in yourself and those around you. A true leader, you are relentless in your pursuit. It was a time of fluff– lots of users did these quizzes, posting the result. Although some users wrote about their lives in the old journal/diary style that was common for the time, others were writing in the same style, for fictional characters. I’d been drawn into LiveJournal by LARPers (Live Action RolePlayers). The organization they were part of was known as the Camarilla (at that time), and so users were writing diaries as development for their characters– usually vampires and mages, for a horror-based setting. I will save tales of woe concerning them for another time. Know simply this, dear readers, was that so very many of them blurred the line between fantasy melodramatics and drama in their own personal lives. And it brought out some of the worst in me. I’d already been with them for about three years, if I remember right. I got a job for the holidays! 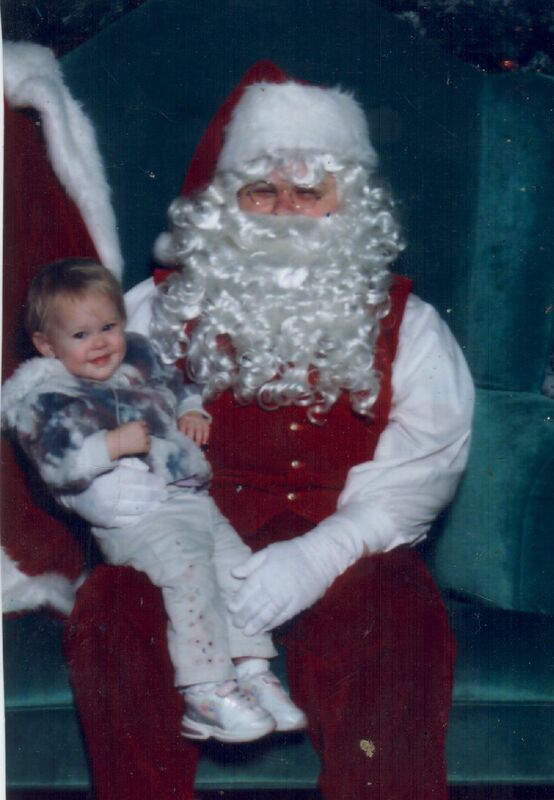 It’s work with Noerr Programs (www.noerrprograms.com) working as a Santa at the Columbia Center Mall. It’s full-time hours, Monday-Thursday, 10-8, $10/hour. My final interview included two hours on the floor playing the actual role and I got a photo of my daughter on my lap, which was actually sent to the regional manager, which I’m sure sealed the deal. I’m very excited. This is the picture in question. Smarty-pants here later figured out too much about the Santa myth, so we used it to reveal the reality of it all. This was the first time I gave a hint to the ugly reality of that year. The year previous, we had been homeless and bankrupt, and so we had stayed with a friend, whose marriage was ending while we were there. We had moved to a fourplex, which brought horrors detailed in the 5 Truths, 1 Lie meme. Both Cimmy and I were in welfare-to-work, because we were valiantly trying to be self-sufficient. This dragged on until Cimmy had a nervous breakdown in the middle of the DSHS office, and Rhenda Stewart (the “battleaxe” of a case manager I mentioned in the quote) wormed it out of me that I was on psychiatric medicines, and then they pushed us to apply for Social Security disability benefits. Well, I found out the Santa gig won’t pan out… I got grounded because of a background check, and they just kept me hanging forever. I had to play phone tag between my case manager and the set until I finally found out the background check would take too long (and my case manager called me to tell me this… no, my employer couldn’t tell me that. Meanwhile, I was five days without money). I wish they would have just been straight with me. I had to reapply for benefits today, and the whole thing just rather cheesed me off. Now what does this have to with the Hero’s Journey? Well, this time I started blogging– I was already past The Ordinary World (outer), and the Limited Awareness of the Problem (inner). 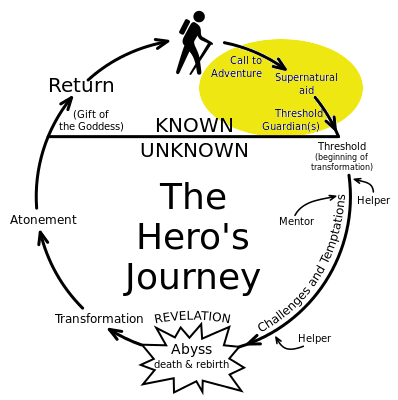 This was well into the Call to Adventure, with its increased awareness of the need for change, but also the Refusal of the Call, with fear and resistance to that change. Categories: blogging, getting to know you memes, jak's archive, The 10 Year Blogging Journey, The Hero's Journey, The Personal Journey | Tags: a hero's journey, Blog, Cimmy, Columbia Center Mall, fear of change, livejournal, Ordinary World, Pepperidge Farm, santa, Santa Claus, The Inner Journey | Permalink. I also started my blogging career on Live Journal. I knew a few people who wrote fan fiction (for television shows). I didn’t really do that myself, but I followed their posts there and eventually started telling my own story. That was probably about 10 years ago, or even earlier than that. Since then I’ve tried just about all the blogging platforms there are and ended up on Vox, like so many of us. I already knew – and taught – WordPress, so when Vox folded that was my next best place. How goes the Hero’s Journey today, 10 years later? Imagine George Takei saying “Oh my.” Fan fiction can go down some squicky turns. Things are going well, in spite of continuing hardships. It’s nice to be in a house, compared to an apartment. The kids are doing well at school. We have a church family/congregation that loves us. And so on. We are blessed. I can’t remember I think it was about 2007. I do know it was just after Christmas… and Vox because I read somewhere that vox was newbie friendly. Its been fun. It has been fun… so many memories. I’ll get to my Vox years soon. A wild ride indeed. I hear you about the LARP community. I met my husband there and played for several years, but the attention-getting behavior finally got to me. I stopped playing but am still friends with many of them. Oh, and I love the background here. Very nice. I logged in last night and saw I had hidden posts, part of which had more to do with the state of the LARP group than I had remembered. I had partly joined at the urging of my sister, but towards the end, I realized I couldn’t change the status quo, and I’d damage my relationship with her and my brother-in-law (her husband) if I stayed. That was regrettably the reason why I finally left, although I’d seen players do terrible, terrible things, even abusive things, to me and to others. Yup. For about as long as BlogHer has been a thing, if I remember right. you know your site is a bit confusing, i don’t know where to click for the latest post…. help a blond out? Plus I just checked your twitter feed…. would you send me the link to that artcle of which you spoke, which i favorited? Sidebar -> “Looking to take the Hero’s Journey with jak?” section, just below the “Hero’s Journey” artwork with the father and son. Either click on “Click to Follow me on the Journey” to follow by e-mail, or click on the image with the WordPress logo and “Follow the tao of jaklumen” in blue to add this blog to WordPress’s reader. Yes, I’m essentially pushing readers to actively follow me, as well as get them to read series of posts. I’m sure I’ll get backlash (or readers are just plain ignoring me) for that, but, that’s how I roll… long, rambling, “Choose Your Own Adventure” sort of stories. Thanks and thanks for your feedback. I hope to find a way to make things clearer. It’s a process, even the very Journey I’m writing about over and over again. Made many theme and format changes over the years– I’m sure I’ll change things slowly over the years to optimize things. I decided today to set things back to latest post, as is most everyone’s default. I figured that the Home page I was using needed to replace the About page I had (because it’s pretty much the same thing)… and so I did that. I’ve gotten some feedback that I should try drop down menus– which I think I’ve just started to figure out. there is a useful widget…. which displays your last few posts…. What’s it called? I think I may have seen it, but not quite familiar with it. I don’t doubt that I’ll still change things here and there. Now that I understand how to add menus, I might be doing that, soon.